Update: According to The National Review Online, an abortion compromise has failed! 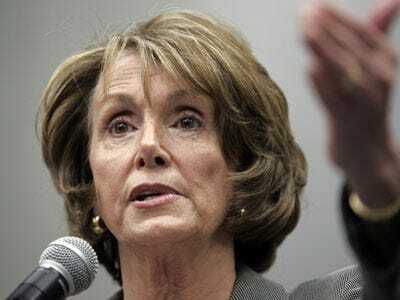 Original post: Why did the Democrats select a far-left liberal from San Francisco to be their leader in the House, when they knew that she’d be an disliked, national lightning rod? Because here’s the thing about Nancy Pelosi: she WILL NOT LOSE. There’s no way she’ll let herself come up short on healthcare, especially after her and her team expressed such confidence of victory tomorrow. And to make extra sure it’s going to work, she’s readying the nuclear option: a compromise on abortion funding in order to win over the coterie of pro-life Dem holdouts. According to both POLITICO and uber-left site FireDogLike (which is livid, but then, it never liked this wussy healthcare bill to begin with). Of course… now there’s an insurrection on the left, which holds abortion rights dear, and the New York chapter of NOW is pulling out the stops to scuttle any deal. So she’s not quite at the finish line yet. But she’ll find a way to make it happen. Watch.